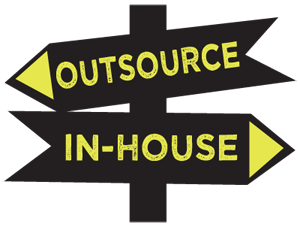 Are You Getting The Benefits Of Outsourcing? 3 Tips For Improving Business Process Outsourcing With Sap. Outsourcing Business Processes is a strategic decision. But, are you getting the benefits that you expected? One of our clients was poised to knock it out of the park – grow significant revenue introducing a new product line through a new channel. The growth could only be reached if they outsourced certain business processes to a distribution subcontractor that had the technology needed for this product line. After six months of piloting the outsourced processes, they had not come close to meeting the expectations communicated to the board. Why? There were inventory control issues with their partner. Allow operations to grow without capital contributions. And there are more reasons to justify outsourcing. Our client, a medium-sized manufacturer with a lean IT staff, was expecting to reap the benefits of outsourcing, but the revenue and new customers had not arrived. It hampered them from expanding this model, and in turn, they are not delivering the performance they promised management. In our client’s situation, two of the three issues mentioned above quickly surfaced: Faulty Business Processes and Master Data. They adequately performed their vendor due diligence. The partner had a technology that would allow them to get their product to market faster, with less start-up investment, and the partner was financially stable. The inventory transactions and counts were all messed up. Our client used SAP ECC 6.0 for ERP processing. We setup their subcontracting and EDI processes and orders were correctly sent to the partner. Due to the pricing and fee structure with their partner, the first in – first out (FIFO) method was used when shipping to customers. This requirement also included the batch number. We started seeing data errors where the batch numbers did not match, and expiration dates were not in the FIFO sequence. Some of the more technical readers in our audience might suggest building a pre-processor to identify these issues. Yes, this would work, but our approach is to build solutions around efficient process, not to hide the process warts and flaws. Ensuring that the workforce is capable of dealing with the technology is critical. A few years ago, a high-tech manufacturer in the Dallas area outsourced logistics and inventory to a 3PL. After we had helped build the integration to SAP, we were assisting with the go-live and support. Everything seemed to be humming along just fine – we conducted the same volume of business in SAP that they had in their legacy system. The problems started slowly; a small issue with converted data, then some master data issues here and there, nothing major. After a few weeks, our customer satisfaction metrics were swinging in the wrong direction. On top of that, the inventory metrics began trending south: wrong inventory quantities and product were received by customers. We banged our heads trying to figure it out and fix these mistakes – our research found that this should not be happening. We decided to go to the 3PL’s location and see what was happening. I was shocked with what I saw. The users at the 3PL were sidestepping the processes we built and were manually entering the data into their systems, creating many of the errors that we saw. I learned that while the processes were properly designed, built and tested; expect some late nights if the partner is not following the procedures. When we performed some random inventory counts, we found that the 3PL’s employees were doing what was easy, not what was expected. For example, the employees were putting the inventory in the closest bin rather than going to the other end of the warehouse to put it away in the correct location. Outsourcing has many benefits and helps achieve many objectives for managing operations and labor costs, faster time-to-results and breaking into new markets with less risk. But ensure that your partners are following the best practices and processes that were designed to provide these outcomes expected from outsourcing. Our advisory services and solution architects are experienced in the best practices and technologies quickly taking advantage of outsourced models. Do you need assistance with your ERP decisions and investment? Contact Kent Lamb at 972.377.3525 or kent@titanconsulting.net. You can also contact your Titan Sales Director as well.